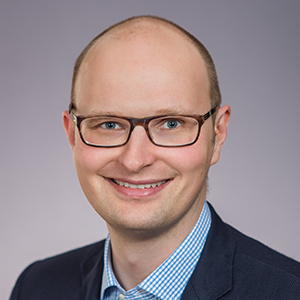 Sebastian Kronmueller incubates startup businesses within Healthineers with a focus on novel molecular applications. His current incubation businesses include the Siemens Healthcare Laboratory in Berkeley, California and NEO New Oncology in Cologne, Germany. Previously he led the execution of strategic initiatives as Head of Special Projects for Siemens Healthineers, playing an instrumental role in shaping the strategy of Siemens Healthineers in preparation for the IPO planned in 2018. Before this role he led a project management team for companion diagnostics and software development and was responsible for the carve-out and divestment of the Healthineers Microbiology business. He began his career as strategy consultant with Siemens Management Consulting. Sebastian holds a graduate degree in physics from Ludwig-Maximilians-University in Munich, Germany and a graduate certificate in Management Science and Engineering from Stanford University in Palo Alto, California.